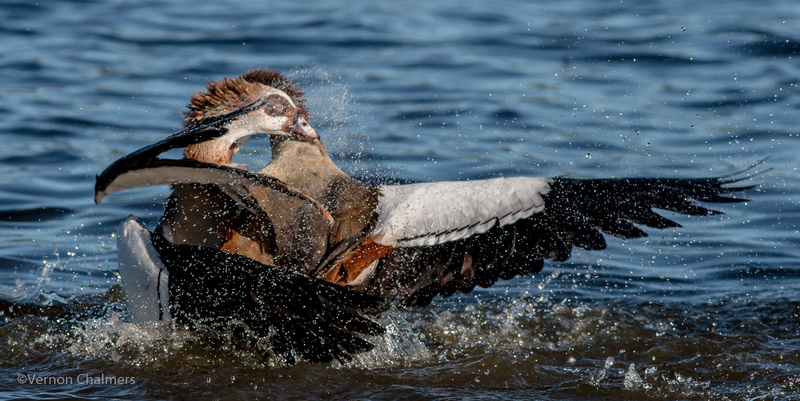 Early morning Egyptian Geese action in the Milnerton Lagoon / Woodbridge Island. 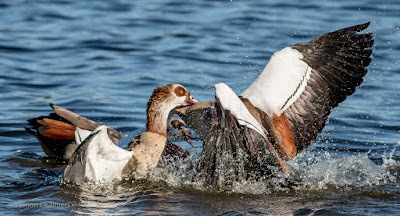 All Egyptian Geese photos by Vernon Chalmers with Canon EOS 70D and Canon EF 400mm f/5.6L USM Lens. (fast shutter speeds 3200). Handheld. 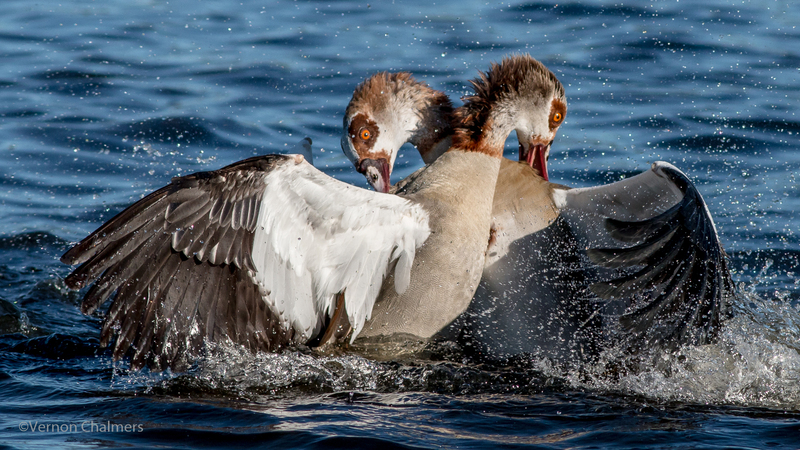 This action went on for about 10 minutes providing enough opportunity for capturing a variety of different shots. Higher shutter speed of 1/2500s. 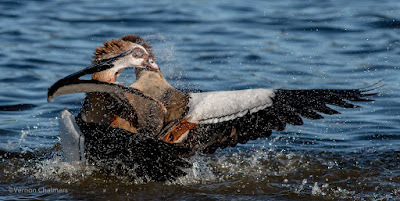 ISO 400 and Aperture of f/6.3 across all images.